Pixelbook is perhaps the first Chromebook to be tied directly to Google’s ecosystem; announced on Wednesday at Google’s hardware event in San Francisco, as the third generation of Google’s premium Chromebook Pixel. It is tied directly to Google’s ecosystem, including Google Assistant and Google Play Store, which instead of been isolated in Chrome OS, opens up new potential for the Chromebook. If you've got Google's Pixel phone as well, the Pixelbook can automatically tether to the Pixel phone if no other internet access is available. The integration with Google Assistant and the Google Play Store, means you can now talk to the Pixelbook to get information, launch apps, or stream movies or music. While the wait for Google to bring Android apps to Chromebooks continues — which roll out has been relatively slow, most of the apps that run on Chromebooks are still trapped in smartphone-sized windows. Albeit, the Chromebook Pixel’s second generation real changes were in software, as Google worked to bring Android apps to Chromebooks—a work still in progress. The Pixelbook is an exciting new step for Chromebooks, as until now it could do little more than browse the web. 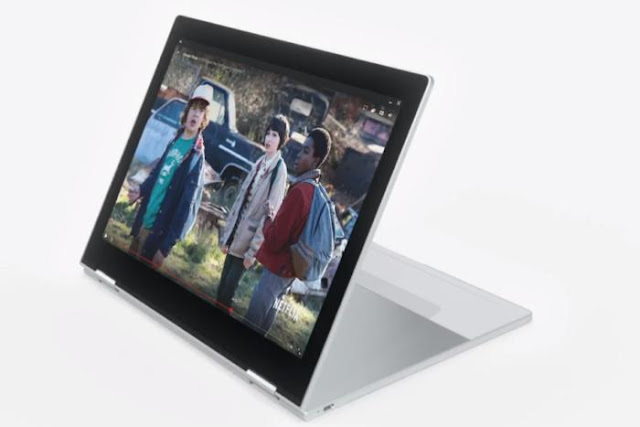 The Pixelbook preorder has started in the United States, Canada, and the United Kingdom via the Google Store and will ship October 31, according to Google’s Matt Voukun.